Making, selling and repairing cars, motorcycles and lorries is an important part of the UK economy. 800,000 people have jobs in this sector. The retail side of the industry (everything but making cars) is worth about £24 billion by itself. 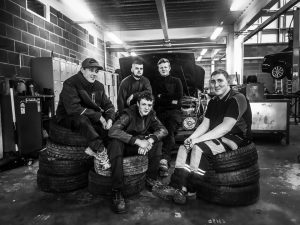 There are lots of different jobs in the industry, but NYA focuses on training motor vehicle technicians … mechanics. 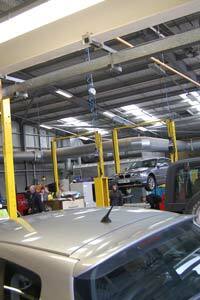 Mechanics maintain and repair cars, motorcycles, vans, lorries and other vehicles, such as buses and coaches. If you are still at school, have just left or have started a training already, NYA may have just the course for you. Motor Vehicle programmes provide training in motor vehicle maintenance to enable progression to further education, training or employment. Units include vehicle systems and maintenance as well as Functional Skills that will help you get the most from your training and at work. What qualification will I get and what can I do next? You will work towards gaining a City and Guilds Level 1 qualification in Motor Vehicle Maintenance. This could be your stepping stone to a Level 2 programme like the one described above. You can be referred to us from Connexions or you can also apply directly to NYA. The Motor Vehicle L2 programme provides training in motor vehicle maintenance to enable progression to further education, training or employment. Units cover all aspects of motor vehicle maintenance and repair. Units include removing and replacing; exhaust systems, batteries, suspension components and brakes. There may be placement opportunities with employers as part of this programme. You will also complete basic and key skills modules. 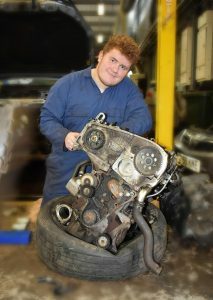 You will work towards gaining a City and Guilds Level 2 qualification in Motor Vehicle Maintenance. This could be your stepping stone in an Apprenticeship. The Motor Vehicle L3 programme provides higher level training in motor vehicle maintenance and involves diagnosing faults as well as carrying out repairs. to enable progression to further education, training or employment. Units cover all aspects of motor vehicle maintenance and repair. There may be placement opportunities with employers as part of this programme. You will also complete basic and key skills modules. You will work towards gaining a City and Guilds Level 3 qualification in Motor Vehicle Maintenance.